The Coldwell Banker Commercial® (CBC) organization is proud to present its’ 2017 Year-End Blue Book! CBC-affiliated professionals represent one of the largest commercial real estate footprints in the U.S. The Blue Book brings their local market feedback directly to you with up-to-date commercial real estate research covering 130+ Primary, Secondary, Tertiary & International markets. 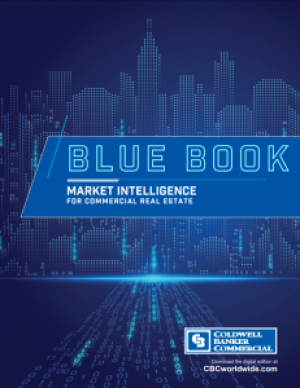 If you are thinking of investing in alternative markets, the Blue Book is your go-to resource for local commercial real estate market data!